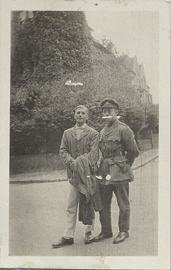 Displaying 1-10 of 22 results for the term Military uniforms. 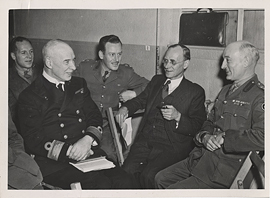 Five men sitting on chairs, photograph (front). 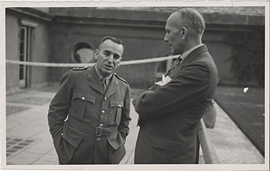 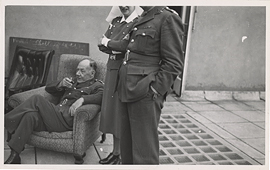 Two men, one in military uniform, photograph. 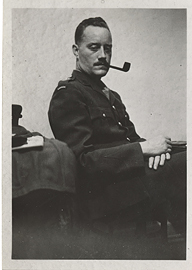 Colin Russel, a man and a woman, photograph (front). 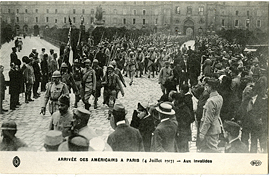 Arrivée des Américains à Paris, Aux Invalides, postcard (front). 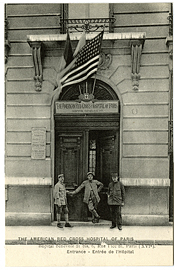 Three men in front of The American Red Cross Hospital of Paris, postcard (front). 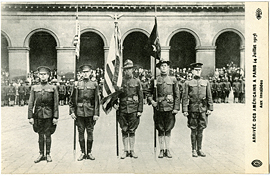 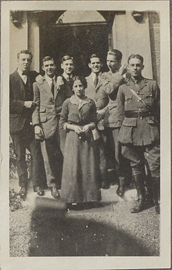 Friends of Wilder Penfield standing in doorway, photograph. 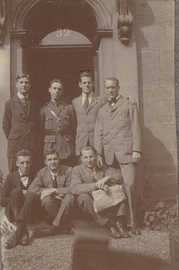 Wilder Penfield and friends posing in doorway of 39 Grange Road, photograph.